With thanks to Allison & Bubsy for the review copy of this novel! As always, my reviews are non-bias and fair. In the Houses of Montague and Capulet, there is only one goal: power. The boys are born to fight and die for honor and—if they survive—marry for influence and money, not love. The girls are assets, to be spent wisely. Their wishes are of no import. Their fates are written on the day they are born. Benvolio Montague, cousin to Romeo, knows all this. He expects to die for his cousin, for his house, but a spark of rebellion still lives inside him. At night, he is the Prince of Shadows, the greatest thief in Verona—and he risks all as he steals from House Capulet. In doing so, he sets eyes on convent-bound Rosaline, and a terrible curse begins that will claim the lives of many in Verona… …And will rewrite all their fates, forever.. When I heard Rachel (aka; one of my favourite authors EVER) was coming out with a Historical Fiction novel and that it was a novel of Romeo and Juliet, I was immediately anticipating it's release and thanks to Allison & Busby, I got to read it. This is my first Historical fiction novel, believe it or not, so I was excited to see whether I liked the genre or not! All I know is, Rachel Caine has never written anything that wasn't amazing, and Prince of Shadows goes down on that list of phenomenal novels as of now. All that I kept thinking all the way through was how brilliantly classic and believable Rachel had written the book, and how it weaved perfectly into Romeo and Juliet's tale. 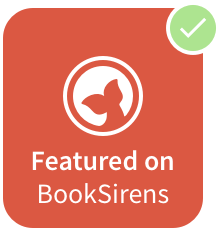 Prince of Shadows ticked several boxes for me; romance, history told with enthrallment and not leaning toward something I've heard before, mystery and grace. We all know that the story of Romeo and Juliet is a tragic one, but set in the POV of Romeo’s older cousin, Benvolio, we see things in a whole new light, that even sheds some light on a romance that hadn't been as tragic at all, but yet, hard to hold on to. Benvolio is of course, the Prince of Shadows himself, and while thieving from House Capulet, he meets none other than Rosaline, who would soon take the role alongside him as the hopeful romance that we root for, whilst Romeo and Juliet take a back seat in the novel. And whilst Rosaline and Benvolio's romance isn't the main feature, it is subtle and is incredible in that way that their connection isn't forced upon the readers. While he loves Rosaline, he shouldn't, and should above all remain loyal to his House. It's hard to say much without giving a lot away, but all I can say is that possibly, all along we had thought Romeo and Juliet were the star-crossed lovers, but maybe they weren't the only ones. And their story might just have been as heartbreaking and hopeful. 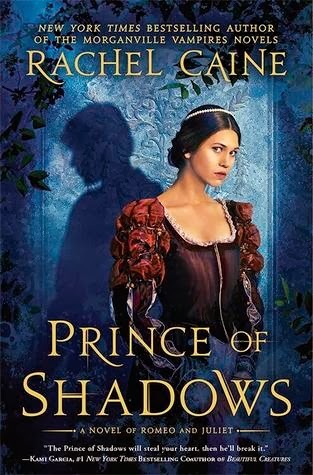 I read Romeo and Juliet a very long time ago, but reading Prince of Shadows has brought back that love for Shakespeare and especially a modern twist on a tale already told. Rachel did a flawless work of art on turning what was always a tragic love into unveiling another side to the story. Mesmerizing, captivating and classic, Prince of Shadows was a novel beyond the boundaries of brilliance. I can't say how much I adored this take on a classic story and how much I am looking forward to diving into some other Historical novels with my new-found love for them. Rachel deserves nothing short of five stars for another addition to her long list of five-star novels in my eyes. Have you read Prince of Shadows? Rosaline has always intrigued me. I just might bump this up my pile. Lovely review!